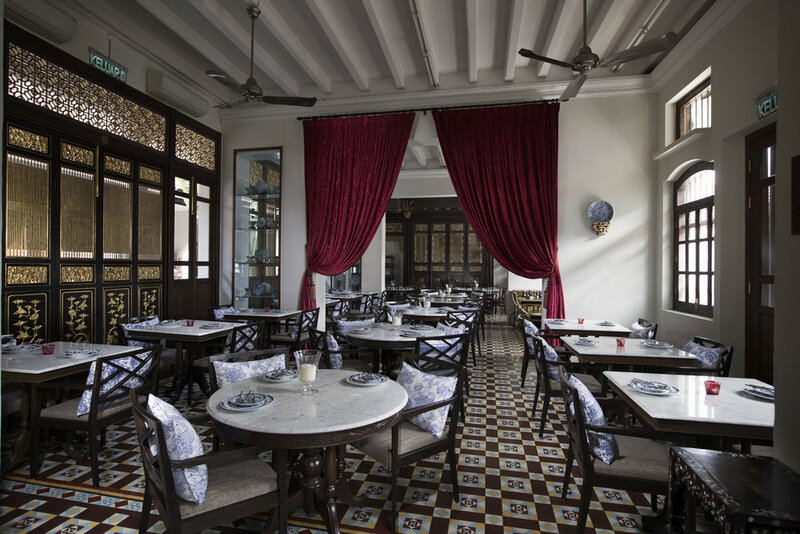 In the event that the highest point of your criteria for visiting George Town is being on the very doorstep of the city's most significant interests, Seven Terraces by George Town Heritage Hotels should influence your desire to list for its area alone. George Town has been a UNESCO World Heritage site since 2008. Needless to say, the existence of Seven Terraces is a shining example that the old appeal, in truth, still gets by in the town, regardless of the intensive endeavors of business boomers. The hotel is an excellent base for George Town, as while it’s as quiet as being in the city, it’s only a 2-minute walk to the Goddess of Mercy Temple, and a 5-minute walk to the bustling Little India. The surroundings of the hotel itself felt solidified in its bones. 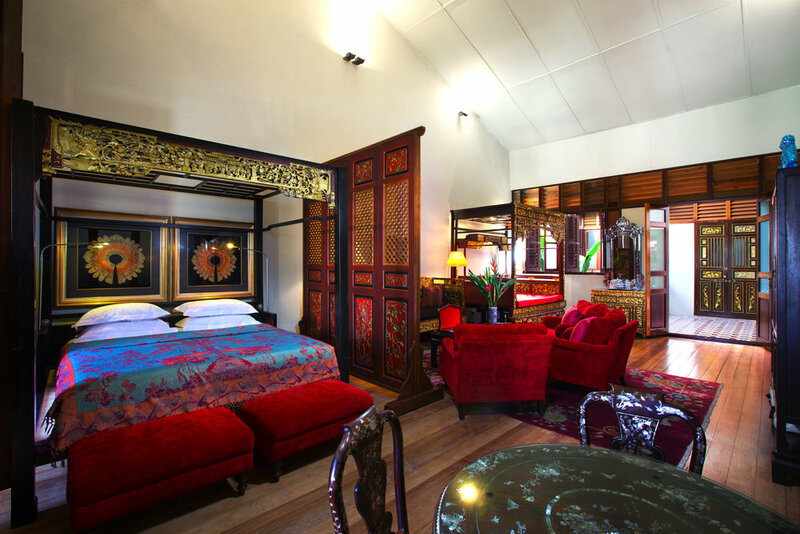 On the exterior, the extravagance of the Peranakan theme influences the hotel to feel homey. This style translates across the hotel's public area such as the on-site restaurant Kebaya, where you can indulge in a traditional setting, with an accentuation on mixed drinks and contemporary Peranakan cuisine to while away the hours, whatever season of the day it is. The illustrious open courtyard is a masterclass in symmetry, with intricate tiled pathways and floors, peppered with local street art and sculptures. We stayed at the Stewart apartment which is a two floor, two bedrooms (one King, two singles), and two bathroom suite. The suite is as decadent and pleasant as what you'd expect from a heritage boutique hotel. We truly appreciated the high ceilings and modern touches in the form of entertainment, connectivity and lavatory facilities. And just on the off chance that you hadn't figured out how to fulfill your morning appetite in Penang, breakfast at The Library comes in a compact but a carefully organized menu—starting with a fruit bowl, a choice of some local and western meals and an assortment of juice you could wish for. What's more, you may indulge in a complimentary afternoon tea and some local bites at the swimming pool area from 4:00pm-5:00pm daily. Cluttered but cozy. 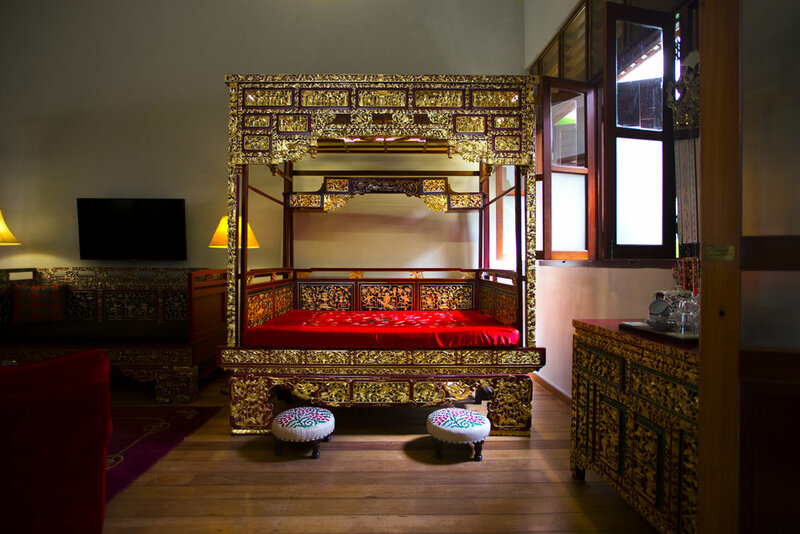 The hotel's attention to detail is what inspires me—wood-framed and decked out with a rich blend of cement and mosaics, finished with delicate Peranakan antiques and craftsmanship. It feels as though it's been built as a home-from-home that you've been trusted to deal with for the end of the week. Make no mistake; you will be taken care of the minute you step into the premise.